College of Civil Engineering, Hebei University of Technology, Tianjin, 300401, P.R. China. 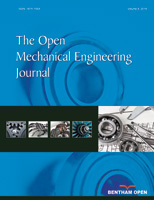 The paper proposed an innovative shape memory alloy (SMA)-friction damper. The damper consisted of the superelastic SMA wire and the friction element in series. According to the working mechanism of the damper, the paper set up the mechanical model of the damper. Seismic elastic-plastic time history response analysis program and energy analysis program of the damped structure were designed. The numerical calculations of the vibration control of a threestory shear-type symmetric structure with the damper were carried out. The results indicated that the damper can decrease the displacement and the inter-story displacement of the structure effectively, but increase the acceleration of the structure comparing with uncontrolled structure. The SMA-friction damper can not only adjust the working status of the energy dissipation elements automatically according to the seismic responses of the structure, but also has some advantages as simple configuration and economical application.